It's that time again! 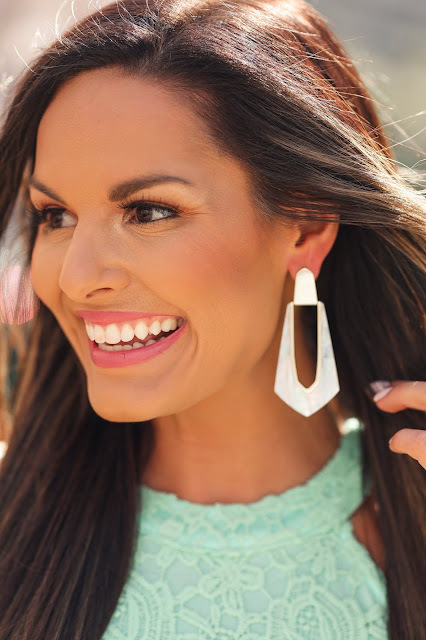 To share with all of you my favorite new Kendra Scott pieces. Kendra Scott is and will always be my favorite place to buy jewelry. I say that for many reasons. They always have the best, most vibrant pieces. Every piece is so unique and so different. I also love the quality. I own so many Kendra Scott pieces now, some that I have worn soooo many times, and they all look like I just bought them yesterday. I love how the metals never turn so you really are paying for great jewelry that will last you a long time. Can you tell one of my favorite colors for Spring and Summer is pink?! I have always been a huge fan of the color pink, especially in the warmer months which is why these Kiernan Gold Hoop Earrings and Kai Gold Hoop Earrings are my absolute favorite new earrings. I love the unique shape of the Kiernan earrings, so much so that I also got them in the Ivory Pearl color. 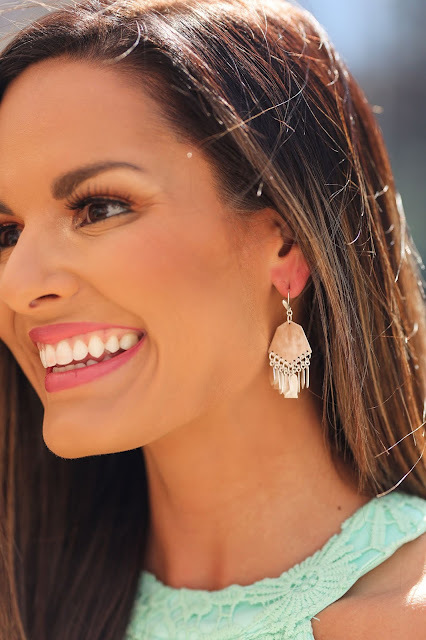 I am a huge fan of big statement earrings but if super big earrings aren't your thing, these style earrings also come in a smaller version called the Kensley Earrings which you can find here. I wear gold a ton but I also love to wear silver every now and then which is why I love these Liz Statement Earrings so much. They are delicate and not too big, which is perfect for when I need a little pop of silver. They also come in a gold color as well! My favorite piece out of this collection is this Kit Gold Cocktail Ring in Ivory Pearl. I am OBSESSED. Ever since I got the ring I have worn it pretty much every single day and I have already gotten so many compliments on it. It is just so beautiful and makes such a statement. Plus, the ivory color goes with every single outfit which I love. If you are looking for a good statement ring to wear for Spring and Summer, I highly recommend this one. You will love it! 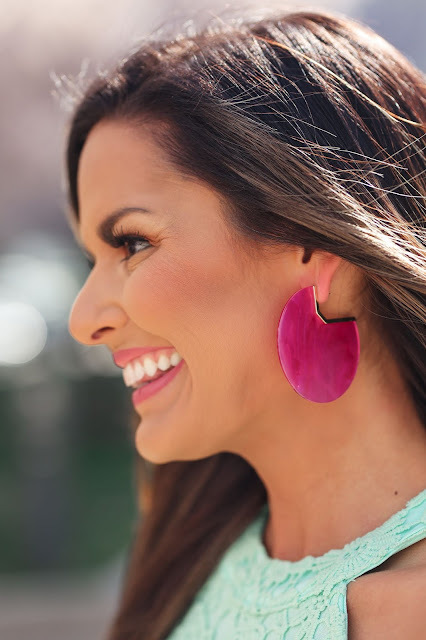 I hope you all loved my Kendra Scott Spring picks this tine around. They have sooooo many other cute things out right now so make sure to check out all of their new arrivals here. Thank you so much to Kendra Scott for sponsoring this post. As always, the thoughts and options are all of my own.